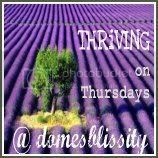 Stone Cottage Adventures: Guest Hosting at Domessblissity today! Exciting news! 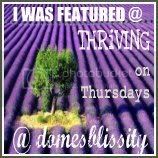 I've been invited to co host Thriving on Thursdays linky party at Domessblissity this week with Anne! Thank you so much for choosing my Fall Outfits post Marci! I'm so glad you enjoyed it :) You just made my day friend! You're so sweet Marci! Thanks for the shout out. 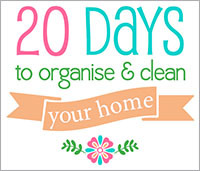 You know its the 12th of September and I haven't starting Spring cleaning. I better get to it. Thanks for being such a great online friend!